We start off the week by taking an in-depth look at the Administration and Human Resource skills required to successfully run the Interior department. This provides a sound theoretical foundation and includes practical training in creating and using checklists, standard operating procedures (SOPs), inventories, Interior manuals for all Interior sub-departments (Service, Housekeeping & Laundry) as well as uniform inventories, ordering and purchasing. We look at the importance of communication, Health and Safety and develop key Human Resource skills such as how to manage the team and recruitment. From Admin & HR we move into the Advanced Service training. This includes two practical live lunches, working with a chef and serving guests using a combination of service styles including Silver Service, Butler Service, Plated Service and Synchronised Service. The emphasis is very much on practical skills (learning by doing). We provide instruction on the above-mentioned service styles as well as Russian, Buffet, BBQ and Caviar service. Table decorating, napkin folding and event preparation are also covered. We look at menu knowledge, in particular French terminology and go in-depth on a full range of luxury items such as truffles, chocolates, types of breads, pasta, cheeses, cuts of meat and many others. It is an intense course with a great balance of theory and practical. The week starts off with an introduction into the world of cocktails and mixology. We go over the history of alcohol and take an in-depth look at vodka, gin, rum, tequila and whisky. There is a demonstration of the fundamental elements of a great drink (character, presentation, flavour, aroma, fast, texture and balance) as well as how to read a cocktail recipe. We learn about handling multiple orders, speed and efficiency including practical mixing of Martinis, short drinks and long drinks. This is a hands-on, well-rounded introduction to a fascinating subject. Here we look at the advanced aspects of Housekeeping and organisational skills required for the maintenance and smooth running of the Guest Interior. There is a thorough review of Housekeeping basics, followed by more advanced theory on the care and maintenance of surfaces and fabrics. We review Checklists and Standard Operating Procedures (SOPs) specific to this department. 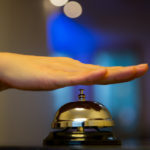 Focus is also given to anticipating guest needs, time management when preparing the Interior and the importance of attention to detail in Housekeeping. Invaluable tips, guidelines and practical training on how to apply and manage efficient laundry services onboard are covered during this one-day course. We look at different fabrics and how to care for them correctly. Included is a thorough overview and practical sessions on professional ironing of garments and linens while also looking at useful procedures and simple steps which can save time while still ensuring the highest standards in equipment, garment and linen care. We finish off the week by providing an insight into the importance of the relationship between the employer/guest and the valet as well as key skills required in this role. Focus is given to applying efficient valet services such as handling guest clothing and accessories, suitcase packing, unpacking and wardrobe management. Ironing and pressing of guest clothing, shoe care, understanding the correct attire for occasions and how to tie a bowtie are just some of the topics covered in this informative, hands-on course. Upon successful completion of the training, students receive PYA GUEST Accredited Training Certificates. The GUEST (Guidelines for Unified Excellence in Service Training) qualifications are becoming a recognised industry standard and provide an excellent framework for career path development in the Interior. For more information please visit: www.guest-program.com.